Karen Ibasco was not supposed to win. After all, the Philippines just had back to back wins not long ago. Considered a dark horse, she was never the favorite. 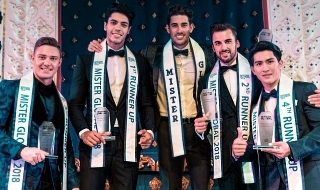 Yet she made her presence known amongst a bevy of beauties in one of the most competitive Miss Earth editions of her time. During the world finals, she competed with tenacity despite having just been sick. And Lady Luck was on her side that night. The heavy favorites failed to impress the judges enough allowing her to sneak by them. Armed with a level of intelligence not seen often amongst beauty contestants, she clinched the most coveted crown. Despite an impressive performance, many derided her win. They made fun of her less than flattering crowning pictures. It didn’t matter that she’s barely recovered from an acute illness that night, the comments that followed were harsh and unforgiving...made worse by the fact that many came from her own countrymen. Despite the incessant cyber bullying that ensued, she performed her duties with enthusiasm. She never looked back and let the negativities ruin her reign. She was welcomed with open arms everywhere she went. People described her as warm, humble, and approachable. 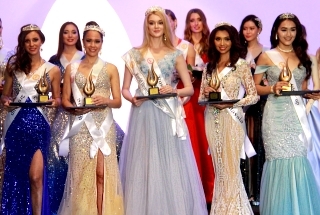 Her busy itinerary included trips to Cambodia, Vietnam, Japan, Reunion Island, Singapore, Colombia, USA, Belgium, and France...in addition to having traveled all over the Philippines to spread Miss Earth’s message. She met with a wide array of audiences that included the general public, school children, prominent businessmen, CEOs, and politicians. Considered as one of the highlights of her reign, she helped promote coral rehabilitation. The MEO benefited from her academic background as a scientist and medical physicist by enabling her to give lectures and speeches to various audiences. Karen personified the very definition of a modern woman...someone who is self assured and confident, who is well accomplished, and who is truly beautiful both inside and out. In other words, she is someone any young girl can look up to and any mother can be proud of. Thank you for carrying Miss Earth’s legacy of beauty and responsibility with utmost dignity and respect. May the Lord continue to shower you with his blessings long after you have passed the crown to the next Earth Queen. Last edited by Handsama on Mon Oct 29, 2018 11:35 pm, edited 1 time in total. Haters...please stay away from this thread if you’ve got nothing nice to say. Behave like decent human beings for a change. You've done a great job, Karen. Congratulations and good luck on your future endeavors. Thank you very much Karen. You've built castles from the stones thrown at you. A very humble and dedicated queen! Congratulations for that wonderful reign as Miss Earth 2017 despite lots of bashings from netizens. A woman with class, elegance and substance. She is intelligent and well spoken. 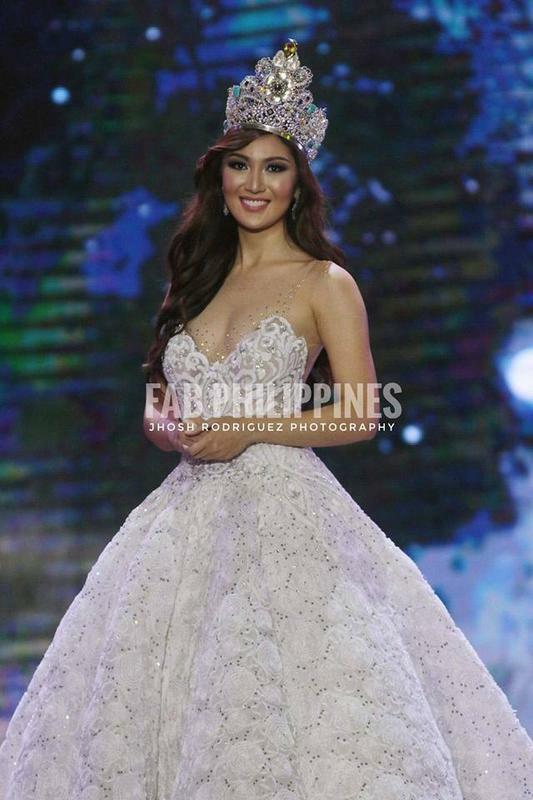 Beautiful inside and out..A true Miss Earth. She fit to be the Miss Earth since the org is looking for a woman that can advocate their mission, I cant imagine a bimbo doing her job. Mabuhay ka, Reyna Karen. Our Miss Earth 2017! A BRIEF BUT WONDERFUL TRIBUTE INDEED HANDSAMA. I WANT HER TO FURTHER SUCCEED COZ WHATEVER SUCCESS SHE WILL ACHIEVE, IT WILL BE A SLOW BUT HARD SLAP TO HER HATERS. manoypoe wrote: A BRIEF BUT WONDERFUL TRIBUTE INDEED HANDSAMA. I WANT HER TO FURTHER SUCCEED COZ WHATEVER SUCCESS SHE WILL ACHIEVE, IT WILL BE A SLOW BUT HARD SLAP TO HER HATERS. 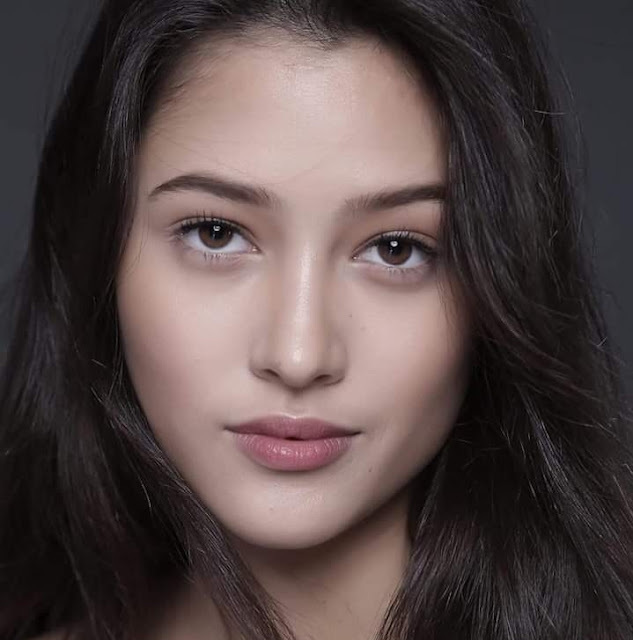 She shouldnt be in the top 16 in the first place or in case not go further to top8.. the judges really wants Philippines again to win so that is it. With her scripted pageant lines..as per her experience it catapulted her to the crown, added the crowd who keeps on cheering in her. If only USA and other who in the top 8 it will be another game. In the sea of negativity, you remained calm, positive and grounded. You're already an achiever and respectable Queen who executed a significant and praiseworthy sense of responsibility being one true "Earth Advocate". As many know how to flatter, few know how to praise... I'm one of the "FEW". Congratulations and more power to you, Karen Ibasco -our Miss Earth 2017! I have seen her in person during the Legazpi leg of ME beauties. She is beautiful, intelligent, and pleasant. Not her biggest fan but I wish her well on her future endeavors. If I am not mistaken, she's the most travelled ME after Jamie Herrel and Tereza Fajkzova. chorr wrote: Not her biggest fan but I wish her well on her future endeavors. I AM NOT A FAN EITHER. BUT AS A QUEEN WHO WON FAIR AND SQUARE, I RESPECT HER AND DEFEND HER AGAINST HATERS. SHE IS ONE STRONG WOMAN WHO DID NOTHING WRONG. SHE STOLE NOT THE CROWN FROM ANYONE. SHE COMPETED, DID HER BEST AND AGAIN, SHE WON FAIRLY. Miss Bicolandia wrote: I have seen her in person during the Legazpi leg of ME beauties. She is beautiful, intelligent, and pleasant. THOSE WHO SEE HER PERSONALLY, THEY SAID EXACTLY THE SAME AS YOU. SHE GOT 3 GOLD and 2 SILVER MEDALS PLUS THE DARLING OF THE PRESS AWARD !!!!! SHE RANKED 1 IN THE MEDAL TALLY ,,,,IS THAT DARK HORSE AND CONSIDERED NOT FAVORITE TO YOU ????? I dunno what pictures you looking at. She delivered where it matters the most when the supposed favorites faltered. Believe it or not she is very cool, calm and collected in person, i dunno how she does it. COZ SHE KNOWS SHE DID NOTHING WRONG. SHE COMPETED FAIRLY. MOST OF US DID NOT CONSIDER HER A FRONTRUNNER BUT SHE PERFORMED AMAZINGLY ON STAGE. WHY DEPRIVE HER? they should have cancelled the 2018 edition and let her reign for another year or two. cindy_kato wrote: they should have cancelled the 2018 edition and let her reign for another year or two. DONT WORRY, I AM SURE SHE WILL BE FOREVER CONNECTED WITH CAROUSEL. tmc_1979 wrote: In the sea of negativity, you remained calm, positive and grounded. You're already an achiever and respectable Queen who executed a significant and praiseworthy sense of responsibility being one true "Earth Advocate". She actually reacted to her detractors during the welcome party. whiner queen. Wasn't a fan (since I was rooting for another girl who I know would have also been a phenomenal Miss Earth, sigh) but she showed her worth as the real Queen with how she handled the situation and the backlash. She was shameless in wanting to win, she knows she can, she knows she deserves it and she grab the oppurtunity while her competitors succumb to the pressure. And as we see, she prove to everyone with her words and actions what a true women of substance is. Goodluck to your future endeavors Karen. You have much to share even without the crown. As what you have shown, you do not let your detractors drag you down, they continue to wallow in misery of their own choosing while you continue to soar greater heights. Change your bacterial minds so it won’t be cultured anymore. Kadiri! Bobita! Magsama kayo ni... pareho kayo boba... tagalog na lang! Pretentious! Booklong Two! 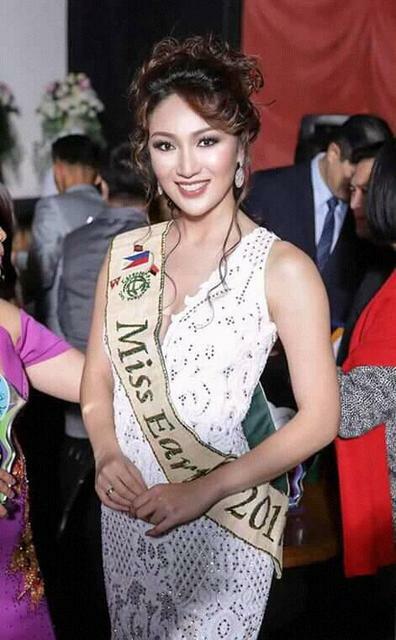 MANY MISS EARTH FANS FEARED AND BASHERS SCORNFULL THAT IT WILL BE THE DOWNFALL OF MISS EARTH. THAT 2018 WILL HAVE LESSER DELEGATES AND NO SPONSORS TO HELP HOST THE PAGEANT. AND THAT KAREN WILL BE QUEEN WITH LEAST TRAVEL OPPORTUNITIES. BUT WE WERE ALL PROVEN WRONG. 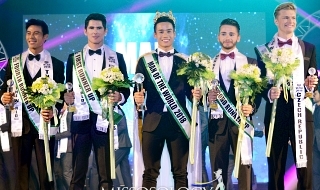 THIS YEAR IS ONE OF THE BEST EDITIONS OF MISS EARTH. KAREN TRAVELLED TO ALOT OF COUNTRIES. AND THE NUMBER OF DELEGATES ALMOST REACHED 90. I STRONGLY BELIEVE WE OWE KAREN AN APOLOGY FOR THE BASHING AND DOUBTING OF HER WIN. SO TO KAREN, A TRIBUTE AND AN APOLOGY.